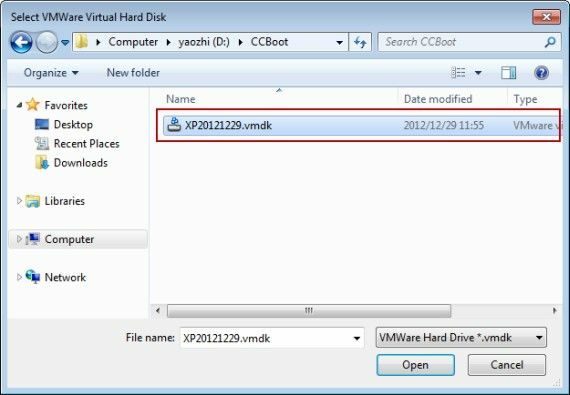 1) Download the "VMDK2VHD" converter from http://www.ccboot.com/download/vhdtools. 2) Prepare the VMDK file. 3) Double-click the "VMDK2VHD" converter to run the program and "VMDK2VHD" dialog box will pup up (Figure 1-1). 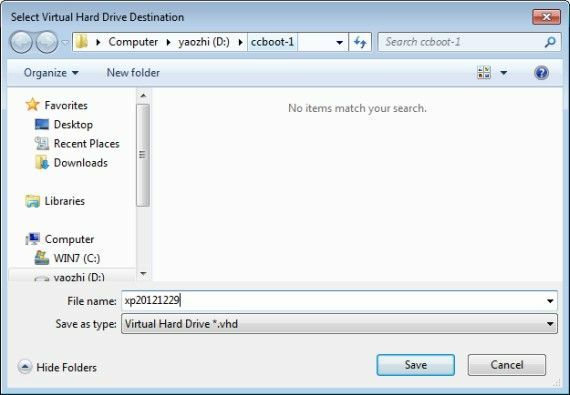 4) Click the "Open" button in the "VMDK2VHD" dialog box (Figure 1-1) and then locate the vmdk file storage path (Figure 1-2). 5) Click the "Save as" button and then browse the vhd file storage path (Figure 1-3). For example: the vhd file name is "XP20121229". 6) Click the "convert" button to start the conversion (Figure 1-4). 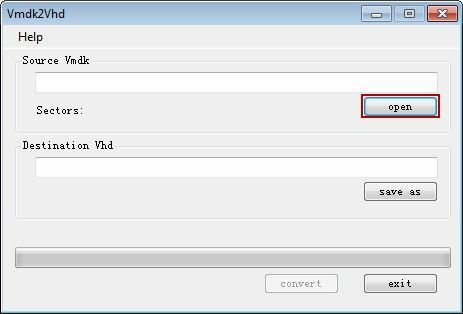 7) When the conversion of vmdk file format to vhd file format is completed, click the "exit" button to close the program.